We’ve had some great weather over the past few days and it’s really put a spring in my step. I’ve found any excuse to work from the garden and take a wander down into the village, mostly just to indulge in an ice cream. The weather, and the sugar, have given me a burst of energy which I’m loving. 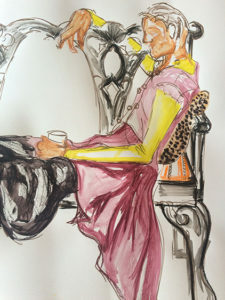 Every Wednesday, I attend a life drawing class in the Spinning Mill at Sunny Bank Mills. This building has mostly been let to creative companies and on the top floor, there are open studios where a number of artists and small businesses work every day. I would love to work in the mill, surrounded by creativity. In fact, it’s my goal to be able to move into one of the open studios one day. 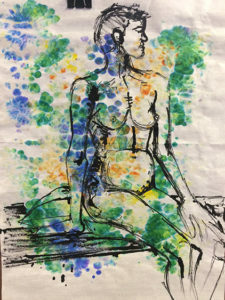 I get mixed reactions when I tell people that I go to life drawing classes. Most people are surprised and intrigued, some people look at me as if it would be the last thing they would want to do. I enjoy getting out on weekday nights and doing something that is just about me. Stepping away from my work to create something different keeps me inspired. I never know when something I’ve done in my day job will influence my life drawing and vice versa. It’s good for me to keep things going and keep those creative juices pumping. I would thoroughly recommend both of these places for a little bit of learning. The next course I would like to do is dressmaking but I need to find a short course near me, if anyone has any ideas? As well as the weekly life drawing classes, the husb and I have recently become involved in our local community festival – Farsley Community Weekend. It has taken place for years in Farsley and has become incredibly popular. In fact, so popular that the format has had to change this year because numbers were getting dangerously high. We have signed ourselves up to help ensure that this event runs smoothly and is as inclusive as possible for all members of the community. There will be comedy, choirs, theatre, exploration, food, drink and music. As well as all of this, the theme of the whole weekend is….textiles. Now you can see why I couldn’t help but get involved? I am hoping to bring as much colour and texture to the streets of Farsley as possible. With the help of the rest of the volunteers and the community, I am helping to create two installations. The first will be made of pom poms. 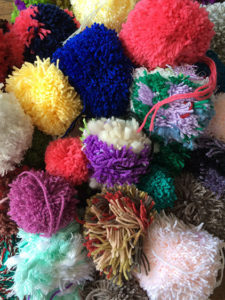 For weeks now, I have been holding workshops with small groups to make as many pom poms as possible. The location of the installation is St Johns church tower on Town Street, I’ll share pictures once it has been set up. It should have a pretty big impact on the high street. The second installation is fabric bombing. I have limited knitting and crochet skills but man, can I patchwork. The fabric bombing will decorate trees, benches and railings around the village. It’s a huge task but it will contribute to the overall feel of the weekend and will hopefully give everyone something fun to look at and look for as they move between venues. So these are just a couple of things that I do over and above the day to day designing and making. If you’d told me this time last year, that this is what I’d be spending my time doing, I wouldn’t have believed you. I am loving it and am very grateful for the opportunities I have had around me. 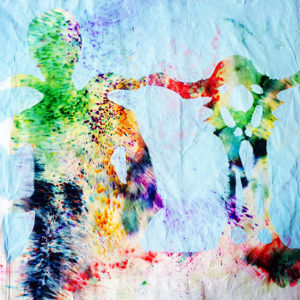 Farsley is a very creative and inclusive community and there is so much to do here. I am thrilled to be a part of it. What do you do to unwind, create, switch off or contribute to your community? Is it enough to feed your creative urges or are you dying to try something different? Let me know. You certainly keep yourself busy and creative. Love reading your blogs. Starting a new creative Business – design, print, sew, repeat. 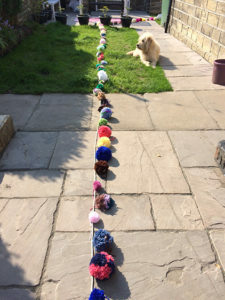 June recap, a Labradoodle health warning and what’s happening in July?